After the minimum day on Thursday, Oct 4th, stop by T4 at 11020 Bollinger Canyon Road, San Ramon and have a nice drink. 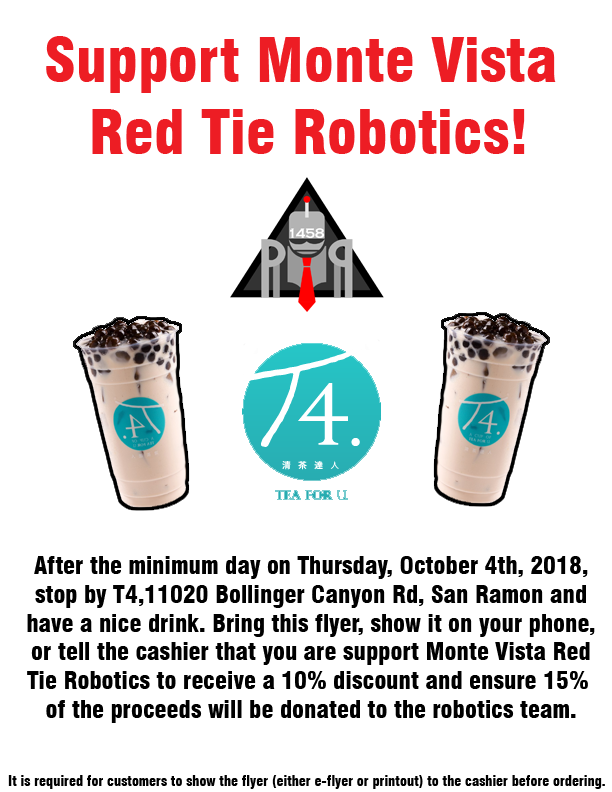 Bring the attached flyer or show it on your phone to tell the cashier you are supporting MV Red Tie Robotics. You will receive a 10% discount and 15% of the proceeds will be donated to the robotics team.